Bob Champlin is one of Northern Illinois District’s “unsung heroes” as a modest but passionate promoter of tennis primarily to high school players. 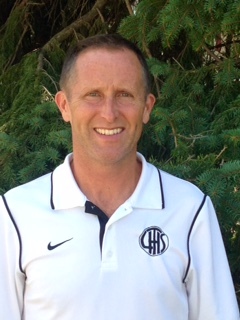 As a physics teacher for 24 years at Lockport Township High School, Bob has also been the admired and respected Head Coach for both the Boy’s and Girl’s Tennis teams for the last 15 years, and founder of the Lockport Area Community Tennis Association. Bob’s focus has always been that of encouraging and promoting tennis programs for high school age players that are more at the “JV” level in terms of skill and experience, rather than the highly skilled “tournament players” that he may be fortunate to have on his high school teams from year to year. Bob first became involved with local USTA programs through Junior Team Tennis (JTT), initially putting together players for a few teams to enter in Northern Illinois’ Junior Team Tennis Leagues organized by District Junior Team Tennis Coordinator Kathy Emola in an effort to give his non-tournament players more opportunities to play organized tennis after the season was over. Bob then became the Local League Coordinator for the District sponsored leagues held during the summer. After learning the ropes of running successful leagues and seeing the enthusiasm the junior players had for Junior Team Tennis, Bob took up the reigns and began promoting Junior Team Tennis Leagues in his area himself, using his high school courts during the summer and contracting with the Lockport Township Park District’s Challenge Fitness center during the indoor season (continuing for the last eight or nine years). Bob is a quiet and encouraging high school coach, but also sensitive to opportunities that tennis can provide to individuals with intellectual and physical disabilities. As a result of a conversation at a JTT District Championship in July 2014, Bob learned that the Special Olympics Illinois State Tennis Tournament was held at a nearby high school in August each year, also learning that volunteers were always needed to assist the athletes as “ball people” and escorts to matches at the ten court facility. 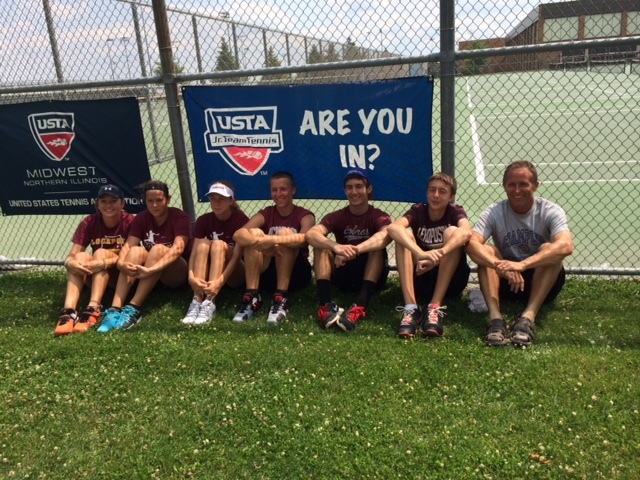 Only Bob could manage to get a bus from his school on a Sunday, to bring his entire Lockport HS Girl’s Tennis Team to volunteer at the State Tournament that included over 100 athletes playing for gold, silver, and bronze medals in their respective divisions. 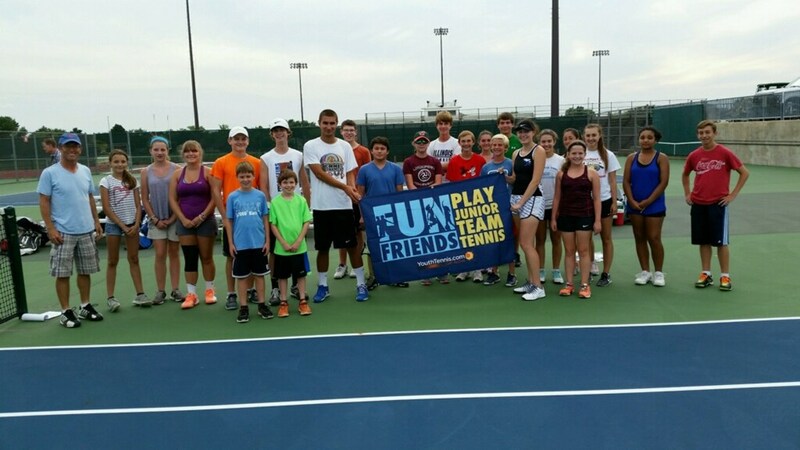 The volunteer experience Bob’s players had in 2014 and again in August 2015 was not only rewarding and enlightening but brought smiles to the faces of the many athletes. Lockport Township High School (LTHS) has always provided outstanding support to the students that are in their Special Education program. That positive attitude opened the door for Bob to go one step further in adaptive tennis by running a four week “Unified” Tennis League in the fall. In the Unified Tennis League, students without a disability partnered with one of their fellow students from the Special Education program at LTHS. Unified Sports has become the fastest growing program within the Special Olympics organization world-wide, with tennis being only one of many sports where participants with and without intellectual disabilities play and compete on teams together in Local, Area, and State competitions, as well as National and World Games. Hopefully Bob will continue to take the lead in Northern Illinois, showing other Northern Illinois clubs and organizations how a Unified Tennis League can be a great addition to their menu of tennis programs! Bob and his wife have four children, one son and three daughters, always supportive of his efforts and long hours during tennis season. Bob is not a “committee type” volunteer for tennis, but rather the most valuable type of “unsung hero” in Northern Illinois as a thoughtful and sincere coach and advocate for his players as well as for students with different abilities, quietly directing tennis programs not as a livelihood or to be recognized, but to promote more recreational opportunities for the grassroots players. With this in mind, Bob is hoping to run one or more “One Day Show Down” non-elimination tournaments at the end of his 2017 summer camp next June, giving area players many short matches against a variety of opponents with no worrying about points or standings! The Northern Illinois District salutes and congratulates Bob Champlin. Thank you for everything you do for kids and tennis!